Chris Froome: Leads rebranded team at the Tour de Yorkshire. Chris Froome is to make his Tour de Yorkshire debut in May as the lead rider of the newly-rebranded Team INEOS. 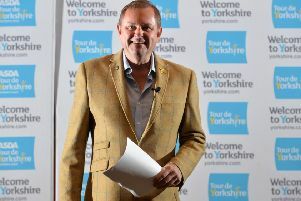 The four-time Tour de France winner has never contested Yorkshire’s race due to its proximity to the Giro d’Italia, which traditionally starts just five days after the Tour de Yorkshire finishes. However, now the 33-year-old has won the Giro – doing so last year – and with the UCI Road World Championships coming up in Yorkshire in September, Froome has opted to compete in the Broad Acres for the first time since he did so at the Tour de France in 2014. Froome will lead Team INEOS at their debut race, following the buyout of Team Sky by British billionaire Sir Jim Ratcliffe. 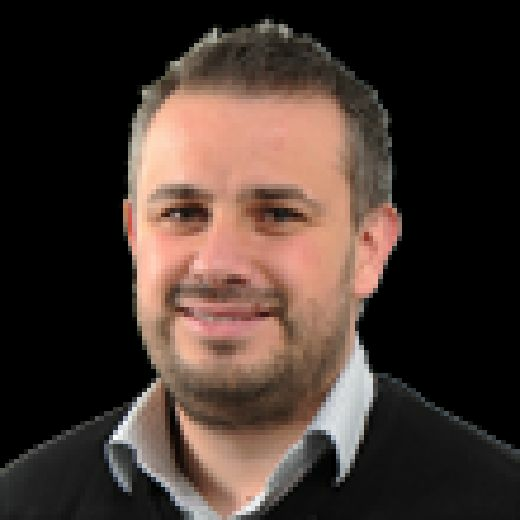 INEOS – who will be without reigning Tour de France winner Geraint Thomas for the Tour de Yorkshire – are one of four World Tour teams at this year’s race. Team CCC are the other heavyweight outfit. Formerly BMC Racing, they produced a stage winner in Ben Hermens in the inaugural event in 2015 and the overall race winner Greg van Avermaet last year, with the Olympic champion poised to return to the White Rose county to defend his title. 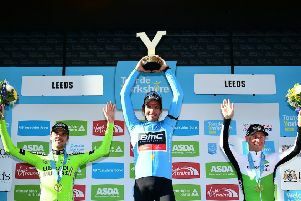 Dimension Data and Katusha Alpecin are also heading to Yorkshire, the latter team including Harry Tanfield, who in Doncaster last year became the first Yorkshireman to win a stage of the Tour de Yorkshire. Hopes are also high that the first Yorkshirewoman to win a stage of the women’s race will be back in action in her home county. Lizzie Deignan triumphed in 2017 and her new team Trek-Segafredo are one of 15 teams named to contest the Asda Women’s Tour de Yorkshire alongside her former squad Boels-Dolmans and debutants Mitchelton Scott, as well as British teams Drops Cycling, Storey Racing and Brother UK. The calibre of racing in the women’s event on Friday, May 3, and Saturday, May 4, is set to be exceptionally high given 14 of the world’s top 15 teams have entered, though that selection process has proven detrimental to one home-grown team, Jadan-Weldtite, from East Yorkshire, who have been overlooked. There is a home presence in the men’s race with newly-formed Swift Carbon one of six British teams who join the four World Tour operations, eight Pro-Continental teams and the GB Cycling squad. British national champion Connor Swift, from Doncaster, will headline the Madison Genesis team. The race begins on Thursday, May 2, with a 178.5km ride from Doncaster to Selby, followed by a 132km jaunt from Barnsley to Bedale on the Friday. The Tour moves to the coast for stage three from Bridlington to a familiar finish at Scarborough before the finale from Halifax to Leeds over 175km on the Sunday, which organisers hope will become a familiar finale in future editions. For the first time the women will ride the same route as the men over those middle two days. Welcome to Yorkshire commercial director Peter Dodd said: “Finalising the teams is always exciting and we’re delighted to have attracted another strong field featuring many of the biggest names.